FREE EVENT • Learn about “Shyamali: Sprouting Words,” our 2017 production, and how to watch abstract, metaphoric dance. Our Audience Empowerment Workshop/Open Rehearsal happens Thursday, August 17, 6:30pm-8pm. This event is FREE, open to the public, and takes place at the Frey Theater in The O’Shaughnessy complex at St. Catherine University, 2004 Randolph Avenue, Saint Paul. ADT dancers will perform excerpts from “Shyamali.” These excerpts will alternate with questions and conversations between the workshop attendees and the dancers. An opportunity for attendees to participate with the dancers in making movement from “Shyamali” will end the workshop. 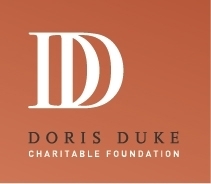 generous funding from the Doris Duke Charitable Foundation. “Shyamali” is supported by an Art Works grant from the National Endowment for the Arts, the Imagine Fund, and The O’Shaughnessy. This activity is made possible by the voters of Minnesota through a grant from the Metropolitan Regional Arts Council, thanks to a legislative appropriation from the arts and cultural heritage fund. “Shyamali: Sprouting Words” is a National Performance Network (NPN) Creation Fund Project co-commissioned by the Kelly-Strayhorn Theater, Pittsburgh, PA, in partnership with the Asian Arts Initiative, Philadelphia, PA, the Maui Arts & Cultural Center, Kahului, HI, the Skirball Cultural Center, Los Angeles, CA, The O’Shaughnessy at St. Catherine University, St. Paul, MN, and NPN. The Creation Fund is supported by the Doris Duke Charitable Foundation, Ford Foundation, and the National Endowment for the Arts (a federal agency). For more information: www.npnweb.org. “Shyamali: Sprouting Words” was made possible by the New England Foundation for the Arts’ National Dance Project, with lead funding from the Doris Duke Charitable Foundation and The Andrew W. Mellon Foundation. General Operating support was made possible by the New England Foundation for the Arts’ National Dance Project with funding from the Doris Duke Charitable Foundation.